ANOTHER SIGNIFICANT OFFICE space in Dublin’s docklands area has been sold by NAMA with the Observatory Building at Sir John Rogerson’s Quay going for €52.25 million. 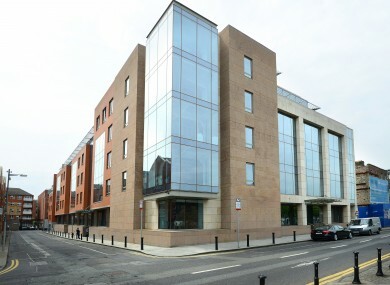 The six-floor building was bought by real estate investment trust (REIT) Hibernia who recently also acquired the Gateway site at Newlands cross in Dublin and has been an active player in the commercial property market. The property is located on the riverfront between the Samuel Beckett and the Seán O’Casey bridges and is is immediately in front of the Hanover Building and Windmill Lane site also purchased by Hibernia REIT. The building is currently 95% let to tenants including Riot Games and Publicis and has an annual headline rent is €2.2 million. €1 million of the rent is currently subject to a rent free period ending in May 2015 and a further €200,00 is subject to a rent free period ending in February 2016. “Our acquisition of the Observatory Building adds another high quality, central Dublin office property with substantial reversionary potential to our portfolio,” said investment manager at WK Nowlan REIT Management Kevin Nowlan. Its location adjacent to our existing office building and site with planning permission for 125,000 net sq. ft. of offices on Windmill Lane consolidates our position in this attractive and easily accessible South Docks area. Following the completion of this transaction, Hibernia will have concluded eight acquisitions since listing and committed €307 million. The Observatory Building was built in 2006 and comprises 86,213 sq. ft, translating to a purchase price of €586 per sq. ft..
Email “And sold for €52mn! : Another Dublin Docklands building has a new owner”. Feedback on “And sold for €52mn! : Another Dublin Docklands building has a new owner”.